Michael Cafarella is an Associate Professor in the Department of Electrical Engineering and Computer Science, Computer Science Division. 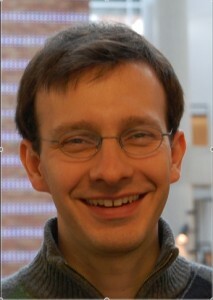 He was appointed the Morris Wellman Faculty Development Assistant Professor of Computer Science and Engineering, and a Sloan Research Fellow (2016). Prof. Cafarella studies databases, information extraction, data integration, and data mining. His projects span several areas of data management including systems and algorithms for “messy” data management, novel data-intensive applications, and data systems infrastructure.